NEW DELHI: Days after piloting and passing a legislation to implement 10% EWS reservation in jobs and education at record speed, the Centre is working on another new bill to ensure that private educational institutes mandatorily implement the quota. Highly placed sources told ET that a draft of such a legislation is almost ready and is under discussion in the government. The plan is to introduce it before the model code of conduct comes into effect. This legislation will basically provide for implementation of the SC,ST and OBC reservation as well as the EWS quota in private educational institutes. Sources told ET that discussions have been held among top officials of the law ministry and the Union human resource development ministry after a go-ahead from the highest levels. The fresh legislation will enable implementation of the letter and spirit behind the 93rd constitutional amendment of 2006, which brought in the OBC quota and created provisions for enabling clauses for its implementation in private sector and the 103rd constitutional amendment passed and notified this month to allow 10% additional EWS quota. While under the UPA 1, the Central Educational Institutes Amendment Act 2006, made it mandatory for central governmentfunded institutes to implement the OBC quota, there was no separate lawfor private institutes leaving the question of quota open ended there. Without a separate law backing it, the fate of the 103rd constitutional amendment would also be similar. 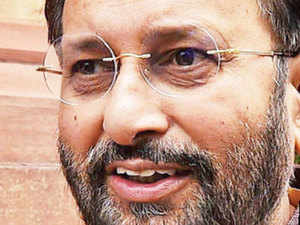 HRD minister Prakash Javadekar has also dropped the first hint in a hurriedly called press conference on Tuesday evening where he said the government would implement the EWS quota from the 2019-20 academic session “across 40, 000 colleges and 900 universities in the country”. This number includes the private sector institutes of higher education. The minister also said that UGC and AICTE will be provided the ‘operational mandate’ within a week to implement the quota and seats will be increased to allow the same.